Central University of Jharkhand 2019 Application filing date has been extended till 20th April 2019 through CUCET. The Central University of Jharkhand is a central University which was established in the year 2009. 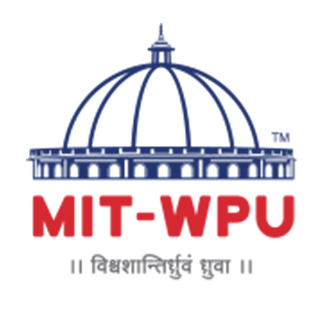 It offers admission in various courses of UG Courses- B.A., B.Ed., B.Sc., PG Courses- M.A, M.Sc, M.Tech, MBA and Other Courses- PhD etc. 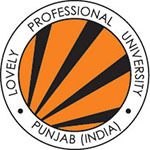 University focuses on relevant present age educational drives with an emphasis on research in cutting-edge technologies. Here, the candidates will achieve detailed information regarding Central University of Jharkhand 2019 such as Application Form, Fees, Eligibility Criteria, Exam Dates, and How to apply. Here, University has provided the tentative exam schedule for the Central University of Jharkhand entrance exam 2019. Candidates must know the exam dates of online application form Registration Dates and Registration and submission Last date etc. Candidates will find details about Central University of Jharkhand Application Form 2019 including dates, fee, uploading documents, etc. applier candidates have to fill & submit the Central University of Jharkhand 2019 Application before the date of the deadline. Central University of Jharkhand 2019 Application Form has been Released on 13th March 2019 through CUCET. 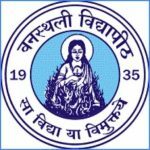 Central University of Jharkhand 2019 Application Form can be filled till 13th April 2019. Central University of Jharkhand 2019 Application filing date has been extended till 20th April 2019 through CUCET. Central University of Jharkhand 2019 (MBA) Application Form can be filled till 28th February 2019. Authority provides the Application Form on the official website of the Central University of Jharkhand. For all courses, the Central University of Jharkhand will provide all application forms. The application form will be available on the website from April 2019. Candidates will need to bring the printed copy of the application form, acknowledgement slip and fee payment Challan, TC, migration on admission time for future reference. To apply candidates have to fill the application and only those candidates can apply who cover criteria. Authority will issue an application for eligible candidates to admit them into various courses of PG, UG and Other Courses. Carefully read full Central University of Jharkhand 2019 eligibility criteria. Water Engineering & Management Central University of Jharkhand 40 12th class examination passes from a recognised board with minimum 55% marks in PCM for general candidate and 50% marks for SC/ST category students. Energy Engineering Central University of Jharkhand 40 12th class examination passes from a recognised board with minimum 55% marks in PCM/PCB for general candidate and 50% marks for SC/ST category students. Nanotechnology Central University of Jharkhand 40 12th class examination passes from a recognised board with minimum 55% marks in PCM for general candidate and 50% marks for SC/ST category students. Geo-informatics Central University of Jharkhand 40 12th class examination passes from a recognised board with minimum 55% marks in PCM for general candidate and 50% marks for SC/ST category students. Applied (Physics/chemistry/mathematics/MBA) Central University of Jharkhand 40 12th class examination passes from a recognised board with minimum 55% marks in PCM for general candidate and 50% marks for SC/ST category students. Vocal Music Central University of Jharkhand 40 12th class examination passes from a recognised board with minimum 55% marks in PCM for general candidate and 50% marks for SC/ST category students. Masters Programs: There are masters programs offered by the Central University of Jharkhand. The duration of the program is two years or 4 semesters. There are 20 seats in each of the program referred above except Tribal & Governance Law which has 15 seats only. The candidate must have a Graduation degree in a field with a minimum of 55% marks for general category students and 50% marks for SC/ST students. For Vocal Music & Theater, the candidate will have to give a practical exam which weighs hts 5%. The candidate can have a degree in any field, but in case you have a degree in the filed other than music then you must have a diploma /Prabhakar or equivalent certificate. PhD Program Details: For PhD programs, the details for various fields lie in line but for the top programs are given below. Central University of Jharkhand 2019 Application Form is made available on the official portal. Provided steps were followed to fill and submit Central University of Jharkhand Application Form 2019. In application, All of the personal and academic information should be filled by the candidates. To fill application form candidates have to follow the below steps provided below. Candidates interested in Online Application & payment through online/debit/credit Card are demanded to pay Rs. 800 as application fee while candidates interested in Online Application & payment through Challan are required to pay Rs. 850 (Bank Commission* Rs. 50). If you have any other Questions related to Central University of Jharkhand 2019 Application Form, you may ask your Queries by commenting below.